Tomorrow, February 12, 2013, will be the 204th birthday of Abraham Lincoln, our 16th President. 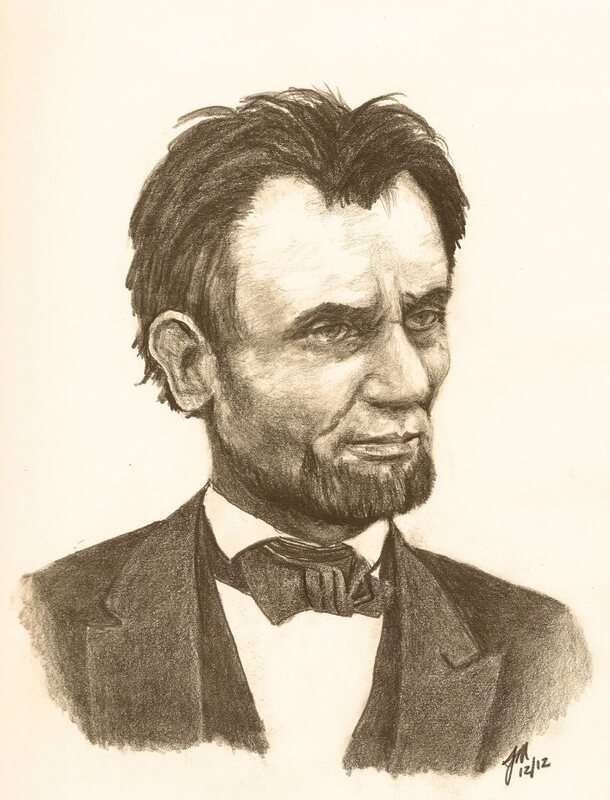 While I’ve been studying the life of this extraordinary American, I’ve also been pondering a sketch of the President by Steven J. Myles, who is a lifelong friend and an exceptional artist. It really catches the character of the man. So, happy birthday, President Lincoln. And thank you, Artist Myles. By the fall of 1862, after a serious wound in his thigh from a Confederate Minié ball in the Virginia Battle of Gaines Mill, my great-grandfather Archibald Van Orden finally arrived in Washington, D.C., for recuperative care and recovery. The recently opened Campbell Hospital in the Capitol was his first stop. 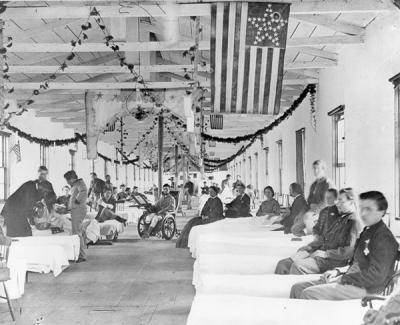 Pain, sickness and infection were constant companions of Union soldiers who were able to receive care there. But the camaraderie of wounded vets encouraged all. Like Archie, many fellow soldiers and bunk mates survived dire wounds during The Seven Days Battles. They talked of exploits in war and hopes of returning home alive. Yet, when Archie was mustered out of the 12th NY Infantry due to his debilitating leg wound that would prevent further infantry service, he was greatly saddened. Comrades-in-arms had become his best friends and he missed them dearly. Returning home that winter to Peekskill, NY, to continue rehabilitation and recovery, Archie avidly followed reports of the war, reading newspapers and Harper’s Weekly. Distressingly, most of the news was bad for the North. 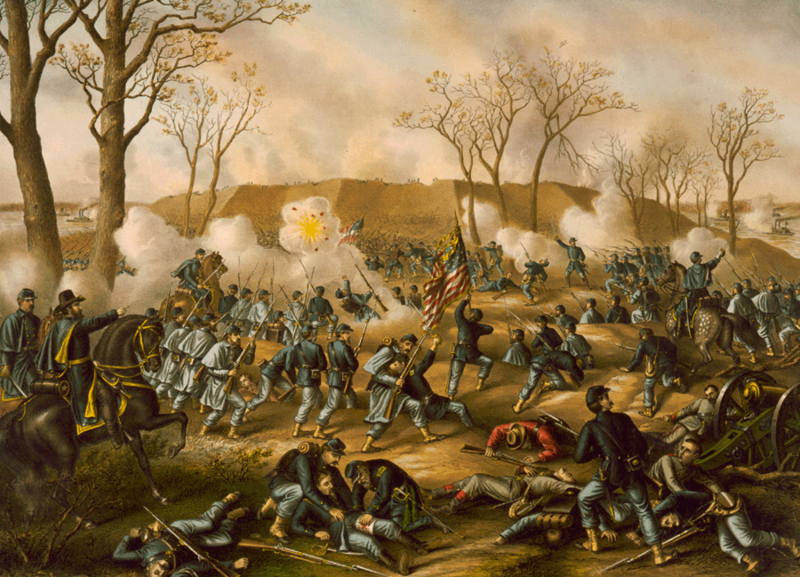 Southern victories came often, and Northern losses mounted devastatingly. Emotional depression descended deeply into the psyche of Knickerbockers, who waited grudgingly for Spring to bring a new Campaign season — and victories. Tagged Archibald Van Orden, Battle of Gaines' Mill, Campbell Hospital, Civil War, History, Knickerbockers, NY, Peekskill, Washington D.C.
“And in the end, it’s not the years in your life that count. It’s the life in your years.” This wisdom from Abraham Lincoln continues to inspire many lives. My great-grandfather, Archibald Van Orden, first saw President-Elect Lincoln at Peekskill, NY, in 1861. He would meet President Lincoln personally in 1865. Lincoln and his abiding commitment to Union would inspire Archie for a lifetime. 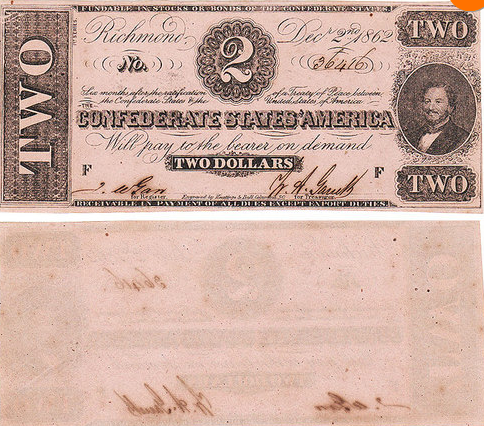 As I post in this blog highlights from the historical research I am pursuing, I am moved to add these thoughts about my great-grandfather himself: During four years serving his country in the Civil War, Archie lived more — and more fully — than most men live in a lifetime. It is my honor and privilege to author the book that is inspired by Archie’s life — dire challenges, fearsome warfare, devastating losses, and the final triumph of love — that make his adventures more than a story of a man, and truly a tale for the ages. 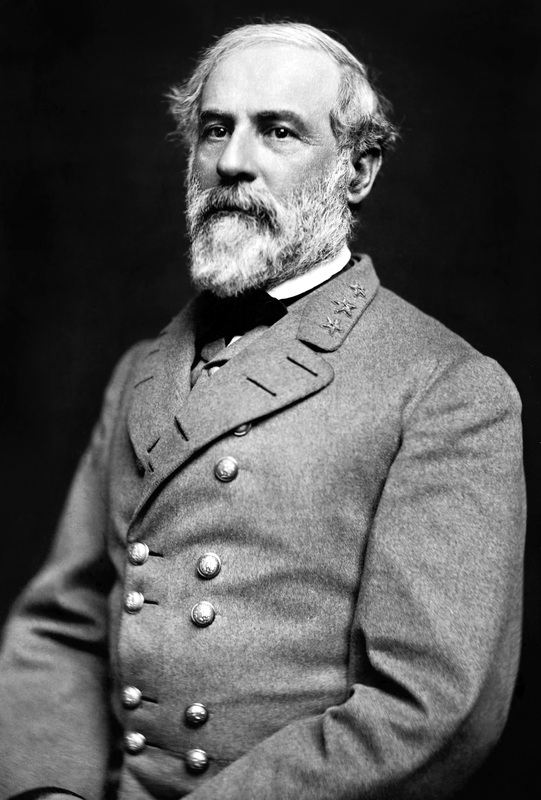 Robert E. Lee was among the great officers in the history of the United States Army. 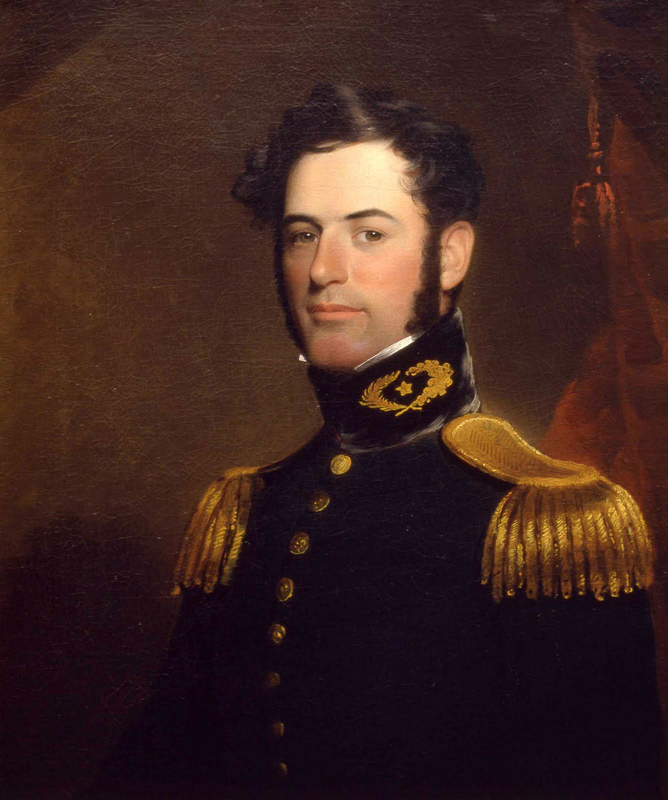 Undoubtedly, Lee was the greatest officer in the Confederate States Army. My great-grandfather, Archibald Van Orden, twice fought against the CSA Army of Northern Virginia, commanded by General Robert E. Lee. In the US Infantry, Archie was seriously wounded in battle. In the US Cavalry, Archie was captured. Some may say that war is not personal. Archie would tell us war gets personal fast when someone is shooting at you. Yet he would also see boys his age, just 16, shot and even killed on battlefields of Virginia, both Union and Confederate soldiers. So who do you fight? The boy shooting at you? Or the man in command? Both. Like many Northerners, Archie would personalize war on the enemy’s General. Colloquially, it was all about “whipping Bobby Lee”, before he whipped you. Antietam is a name most Americans have heard. We learn it in high school history. However, many don’t recall why they know it, or even where it is. Here’s where it is: Robert E Lee’s first invasion of the North occurred near Sharpsburg, Maryland. He was pressing southern momentum at Antietam Creek, toward Washington D.C after recent Confederate victories in Northern Virginia. 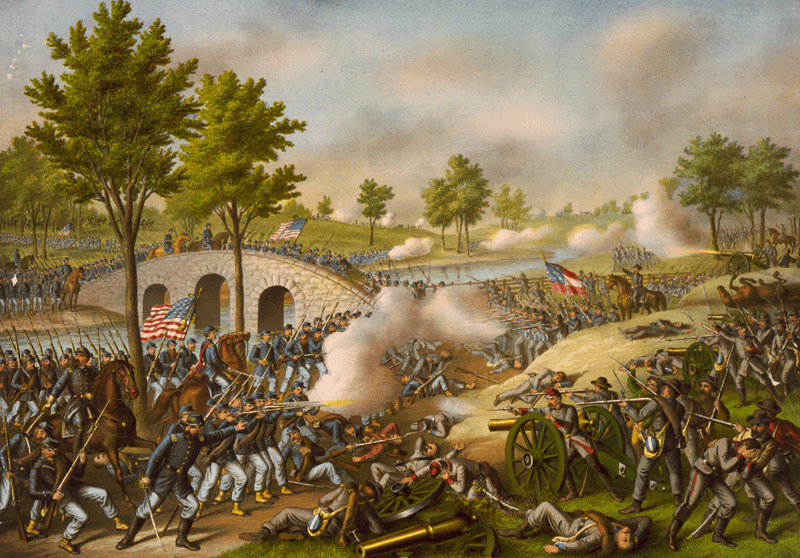 Here’s why it matters: More Americans — both Southern and Northern — died at Antietam on September 17, 1862, than any other battle ever fought on our soil. 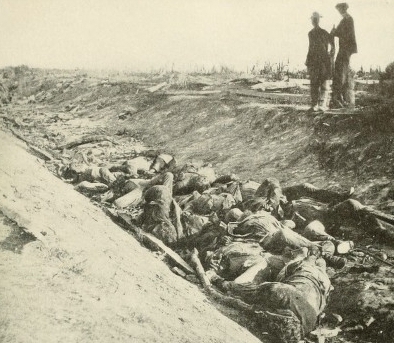 The deadliest place was the sunken road, later named Bloody Lane. Thousands from both sides fell here while cannon, muskets and men fought tooth and nail. My great-grandfather, Archie Van Orden, was in New York at that time, after mustering out from the Union infantry, recovering from serious battle wounds. But Antietam enflamed his patriotism, even if he could not walk. He yearned to rejoin troops fighting for Union. Months later he would enlist in the US Cavalry. 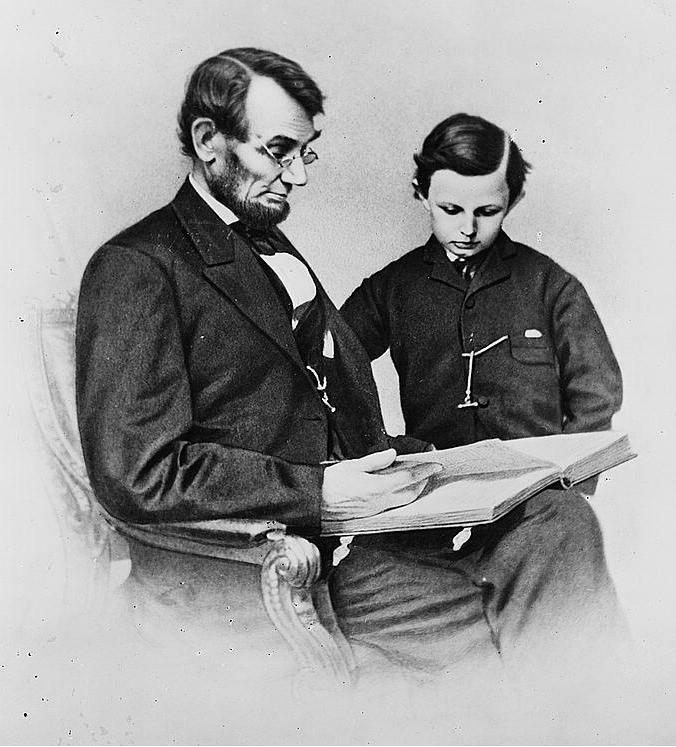 Mere days after the costly standoff at Antietam, with casualties of nearly 23,000, President Abraham Lincoln issued the Emancipation Proclamation. In the South, this was a monumental change. No longer was this a war over states rights, they now viewed it as a conflict to pursue a way of life, in which slavery was necessary. For the North, there was finally a future in which no slavery was permitted. That’s why after Bloody Lane, there was no turning back. Too many Americans on both sides had given their lives for opposed beliefs. Only a winner would take all. Most Americans did not know the name Ulysses Simpson Grant in early 1862. However, by late 1868, all knew who he became: President of the United States. The man known as U.S. Grant seemed destined for the highest office in the USA. He first came to national notice with a nickname: Unconditional Surrender Grant. Here’s how that came to be. After the defeat of the Union army by Confederates at the First Battle of Bull Run in July 1861, Northerners became worried, and even despondent, about possibly losing a war they thought would be won in Virginia. Out west, General Grant was marching his Union troops to surround by land the southern stronghold, Fort Donelson in Tennessee, while the Union navy attacked from the Cumberland River. At first, the battle did not go well for the North — Fort Donelson’s powerful cannon repulsed the Union boats. Then Confederate forces broke through Grant’s lines, seeking their escape from the trap. 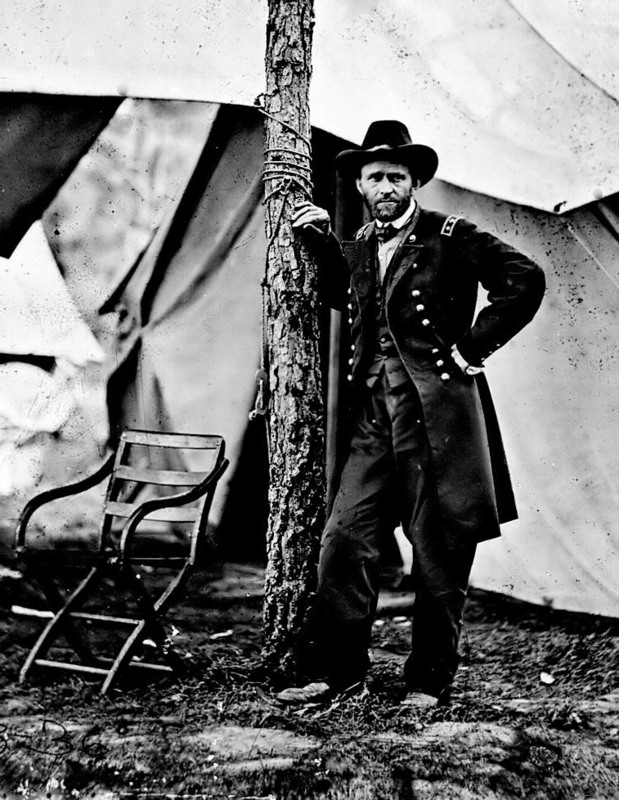 U.S. Grant rose to the occasion, rallying his volunteers to resume the offensive, hold their lines, and drive Confederates back into their fort. 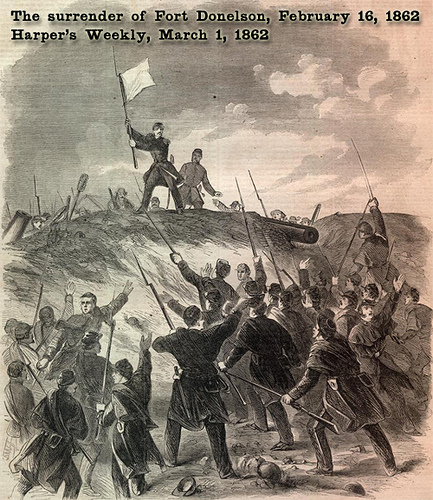 On February 16, 1862, Southern General Buckner had no choice but to seek terms for surrender. In April 1865, my great-grandfather Archibald Van Orden would meet U.S. Grant while serving in his Union honor guard at the long-fought-for surrender of Robert E. Lee’s entire Army of Northern Virginia at Appommattox Courthouse.